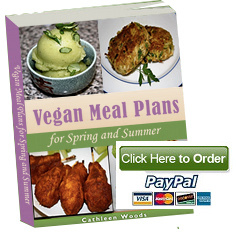 Vegan Bytes #48- Where's Your Favorite Place to Eat? 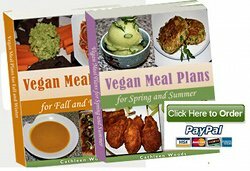 Vegan Bytes #48: Where's Your Favorite Place to Eat? *Nutritional Spotlight: Why Are People Always Telling You to Eat Walnuts? *Question: "Why am I tired after eating?" One of my new favorite "jobs" on Vegan Nutritionista is putting together vegan restaurant reviews of the best places I've personally visited. It's tough work, but someone has to do it, right? 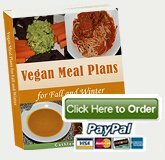 We have tons of great resources on the internet to direct us on vegan places to eat around the world (my favorite is HappyCow.com), but often we don't get enough information about each individual place, and it can be hard to find pictures of the food people pick. And so, I'm making my own reviews for people to peruse. I want to share my review of one of my favorite vegan restaurants, Sticky Fingers Bakery in Washington, D.C. The name might ring a bell because Doron Petersan of Sticky Fingers participated on Cupcake Wars in 2011 and won her challenge! I just love when people bring the joys of vegan cupcakes to light. You can play along too. If you've been to a truly spectacular vegan restaurant and you want to talk all about it, share your story with us here. And, if you have pictures, that will make your review even better. "Why am I so tired after eating?" This is a really common problem, and while vegans tend to have more energy than people who eat other healthy diets, there are a few tricks to keep in mind to make sure you're supplying your body with all the best foods. If you often feel tired after eating, you should check out the advice I gave Barbara here. 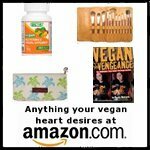 I'd love to hear and share your story of why you went vegan and how it's changed your life. You never know who might need to hear those exact words at this very moment, so please take a few minutes and put together your thoughts about why you went vegan and what it's done for you. Have you ever had butternut squash ravioli in a high end restaurant? The first time I ever tried it, it was at a really nice place, and of course I was blown away. The cool thing is that it's really not hard to make at all, and you can make your own that would blow away any guests you have over for dinner. I first made this a few years ago for our annual homemade ravioli fest on Christmas Eve, and it's secured its spot in the rotation. I'm also including the whole wheat pasta dough recipe that we use. Making your own pasta is really fun, and it's easier than it seems like it would be. I only really use our machine to get the dough really thin, but you could do it by hand with a good rolling pin. Try my favorite butternut squash ravioli recipe and maybe give the homemade pasta a whirl too.